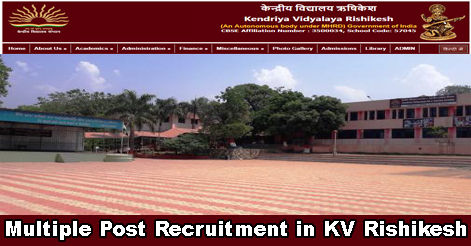 Kendriya Vidyalaya, Rishikesh has released notification for the recruitment of Teachers, Staff Nurse, Computer Instructor, Sports Coaches, and Guidance & Counselling Expert for the academic session of 2019-20. These posts are purely on Contractual Basis. Interested candidates may apply online from 20 Jan to 05 Feb 2019. PGTs in English, Hindi, Maths, Physics, Chemistry, Biology, History, Geography, Commerce, Economics, Political Science Min. 50% marks in Master Degree with B.Ed. For TGT (‘Sanskrit) – Sanskrit as a subject in all the three years. For TGT (Hindi) – Hindi as a subject in all the three years. For TGT (English) – English as a subject in all the three years. For TGT (Maths) – Bachelor Degree in Maths with any two of the following subjects: Physics, Chemistry, Electronics, Computer Science, Statistics. For TGT (Science)- Botany, Zoology, and Chemistry. For Sports Coaches (Athletics/Table Tennis / Judo / Volley Ball) B.P.Ed. from Recognised University/Institute OR person trained from NIS / SAI or who have represented at National Level / International Level in the desired Game. Preference will be given to the candidates of NIS qualified / SAI or who have represented at National Level / International Level. For Staff Nurse i) Matriculation ii) ‘A’ Grade certificate from a recognized institute iii) Ability to speak Hindi & English frequently. 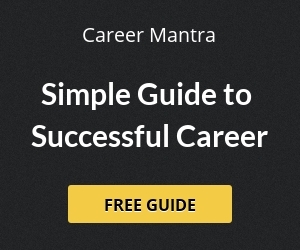 Note – Desirable qualification (for all posts): practical knowledge of computer; Proficiency in Bilingual Teaching. For TGTs and PRTs, preference will be given to CTET Qualified Candidates. Selection of the candidates will be based on the Academic Records and Interview Performance. Interested Candidates may apply online through the official website i.e. www.kvrishikesh.edu.in from 20 January to 05 February 2019. No other mode/means will be accepted. Help us to improve this article/job posting "Multiple Post Recruitment in KV Rishikesh". We would be glad if you can comment below and provide your valuable suggestions and feedback. If this page have any wrong information/list or out of context content, then you can report us as well. Can you please provide me the full notification??? Sir, I have completed my MCA but not clear the CTET so, can you please tell me that I am eligible for ‘Computer Instructor’ or not.